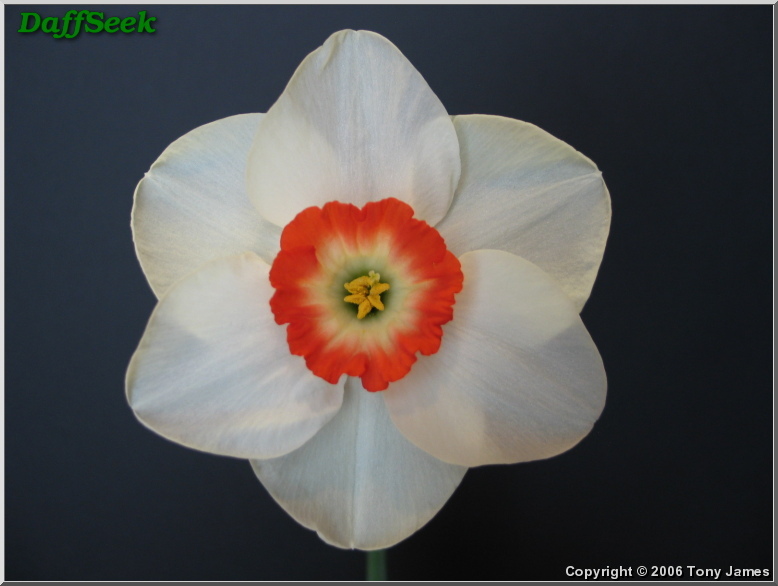 One flower to a stem, corona (cup) as long or longer than the perianth segments (petals). 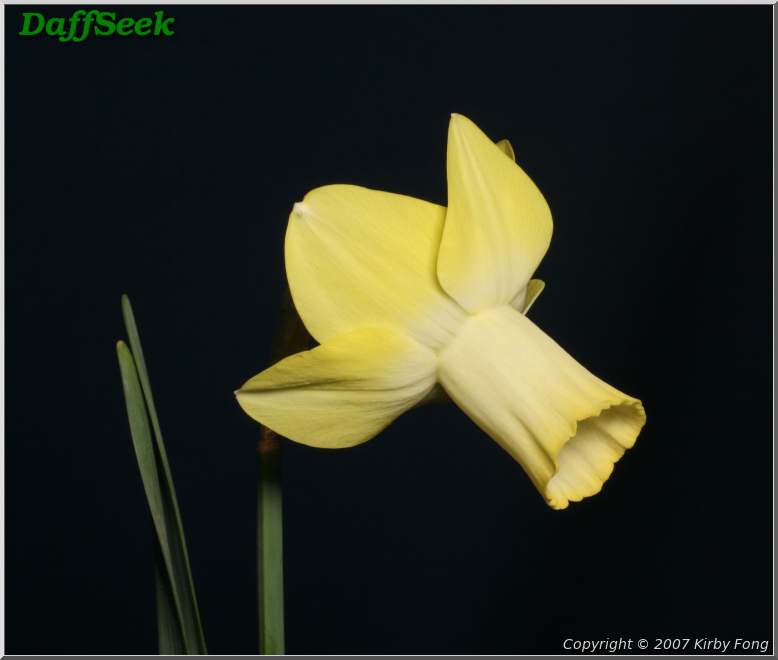 One flower to a stem, corona (cup) more than one-third but less than equal to the length of the perianth segments (petals). 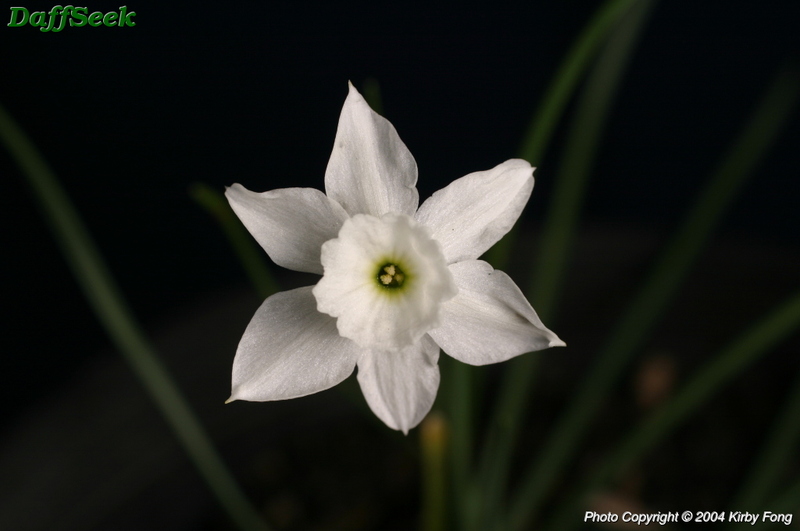 One flower to a stem, corona (cup) not more than one-third the length of the perianth segments (petals). 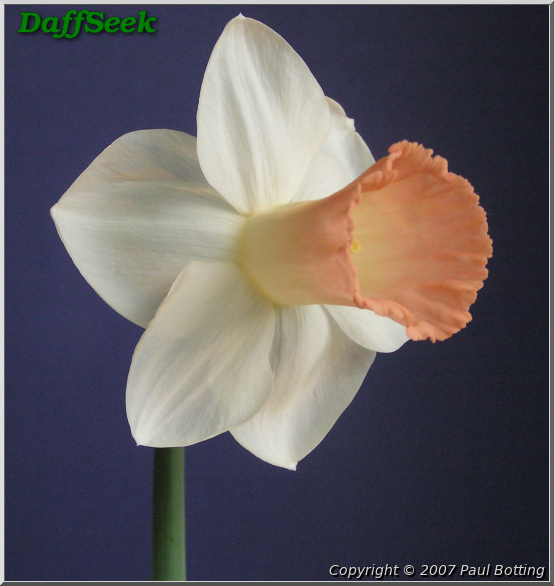 Daffodils have a clustered cup, petals or both. 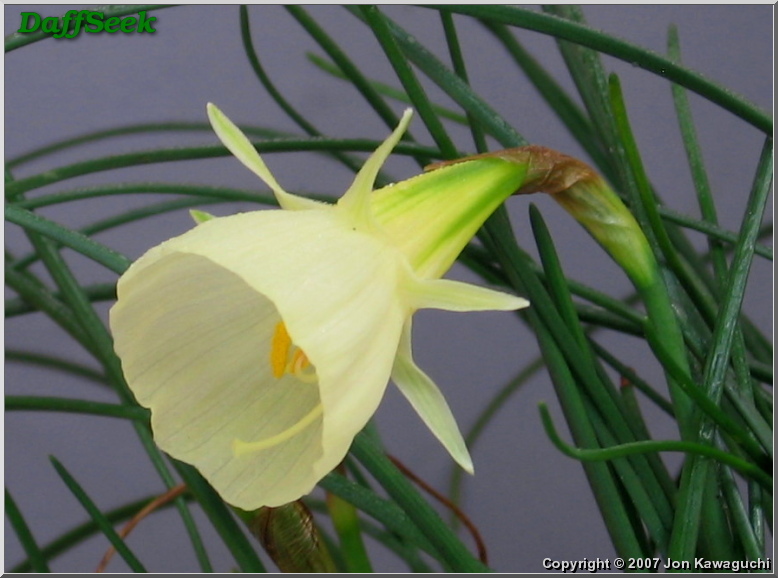 There can be one or more flower per stem. 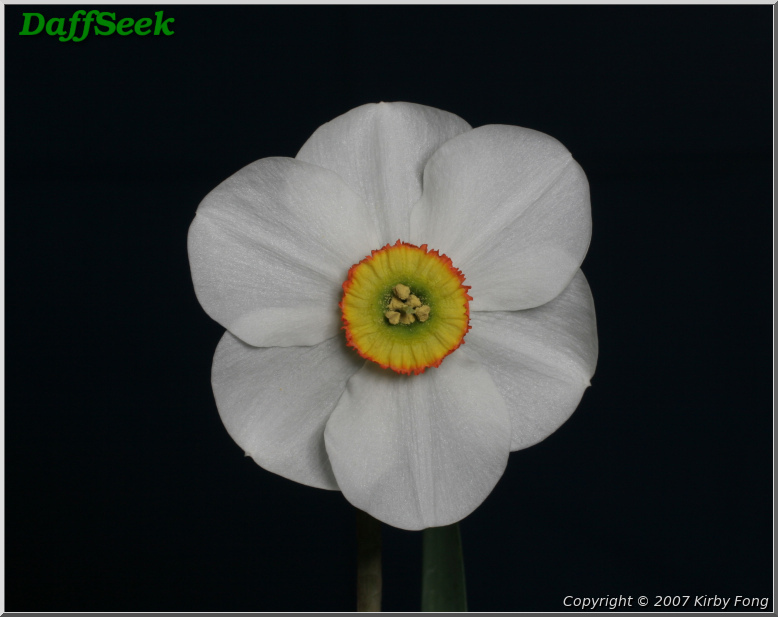 Usually more than one flower to a stem, head drooping, perianth segments often reflexed and of silky texture. 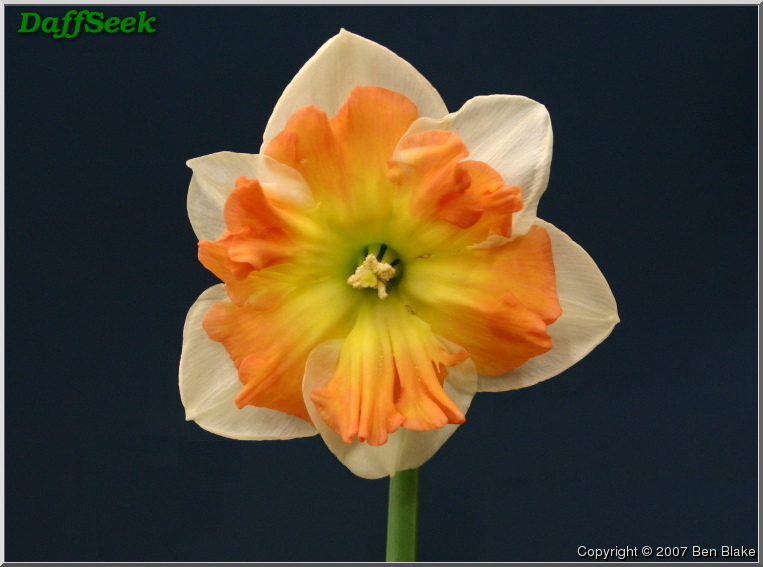 One flower to a stem, perianth segments significantly reflexed, corona usually straight and narrow. 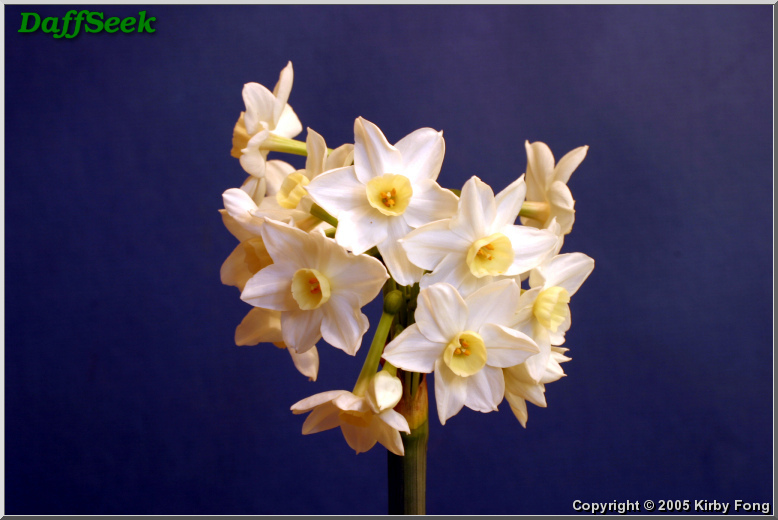 Usually several flower heads to a stem, flowers usually fragrant, stem is round in cross-section and foliage is often rush like. 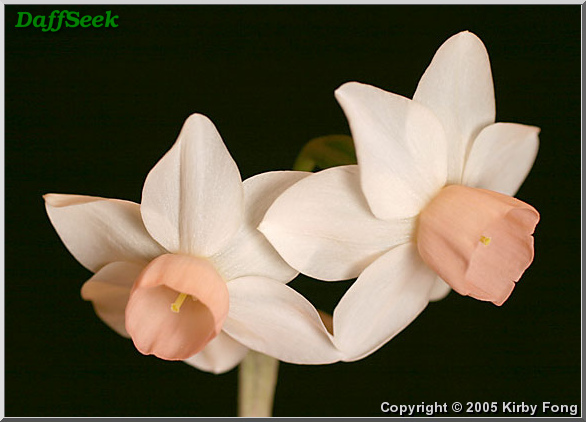 Usually three to twenty flowers to a stout stem, sweetly scented and very short cupped. Perianth segments rounded and often somewhat crinkled. 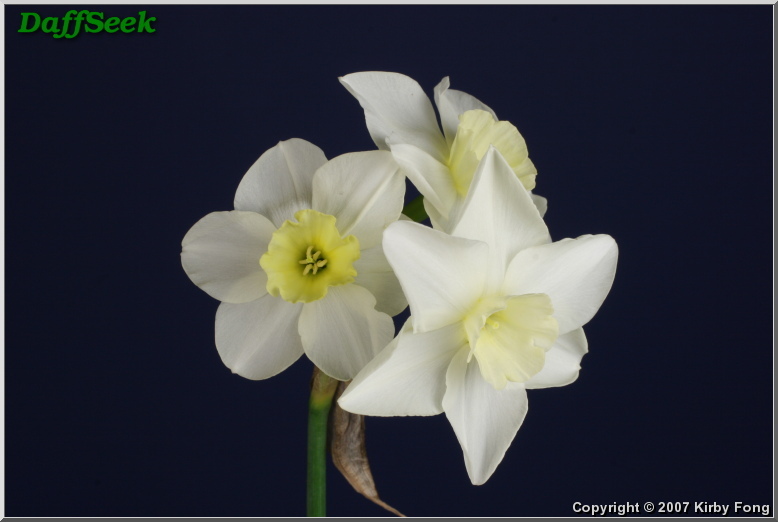 Usually one flower to a stem; perianth segments pure white; corona very short or disc shaped, usually with a green and/or yellow center and a red rim, but sometimes of a single color; flowers usually fragrant. 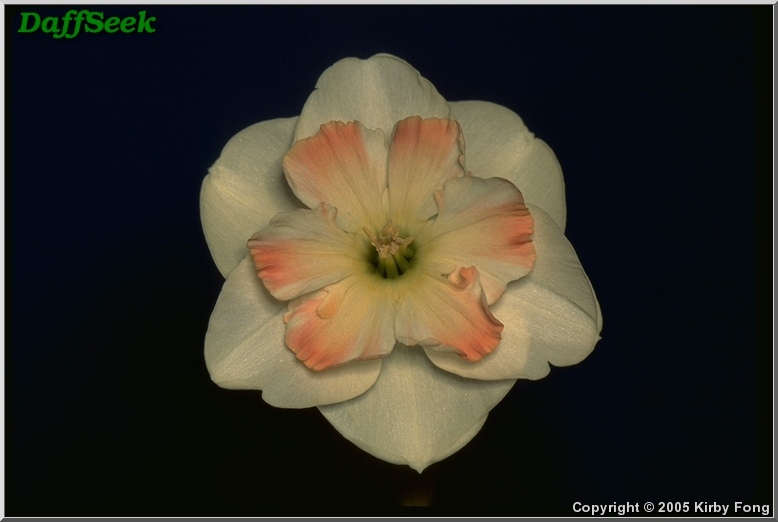 Usually one flower to a stem; perianth segments insignificant compared with the dominant corona. Small flowers resemble a 'hoop petticoat' form. Corona split -- usually for more than half its length. 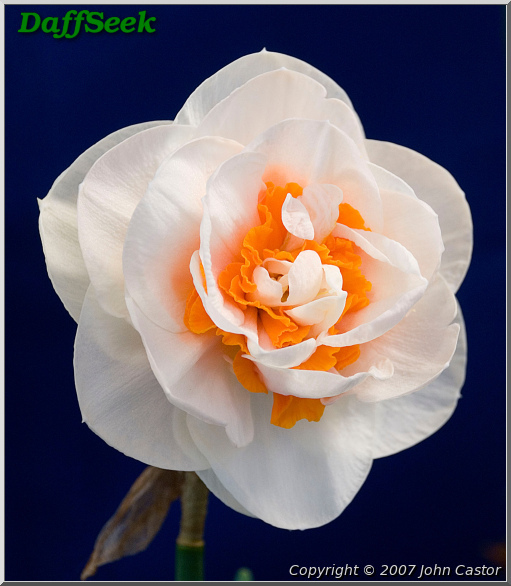 Daffodils which do not fit the definition of any other division. 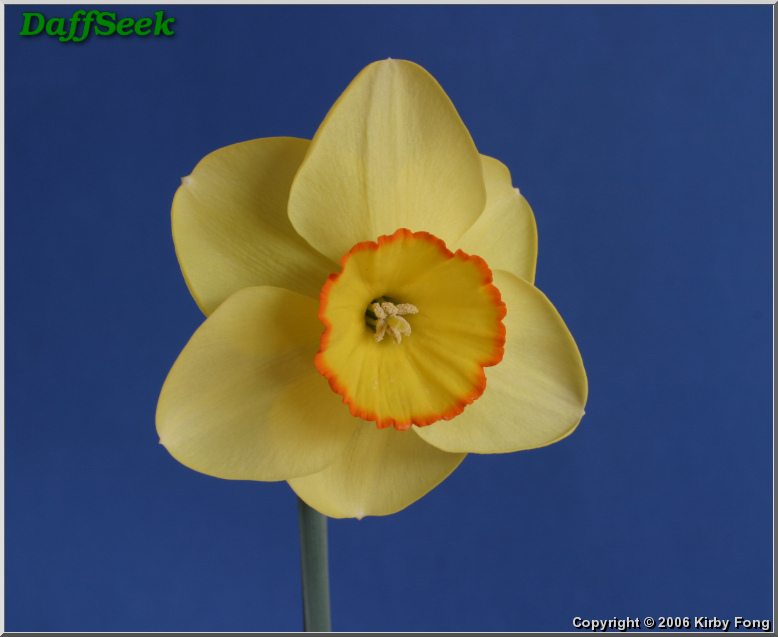 Daffodils distinguished solely by botanical name. All species and reputedly wild forms.